I just love Vivid. It brings out that warm, light-in-the-night feeling that our ancestors must have got from seeing the campfire on a cold Winter’s night. But this is way beyond a campfire – it’s a wonderful fusion of technology and light. You can draw on the front of buildings or have lights respond to you playing the piano. Bubbles of light chase your feet while you walk about beneath even larger bubbles bouncing off each other on a building facade. Everywhere there is motion and colour and light; and everywhere are couples and families wandering about giving off little gasps of joy and awe. When Sydney does an event like this well, it does it so well. And speaking of joy, my personal favourite installation was the see-saws with light sliding down their sides as kids pushed them up and down. The cynic in me, that I try to keep under control, couldn’t help but contemplate the contrast between Sydney bathed in electric light and Earth Hour a few months earlier. But honestly, for all that I’m sure Vivid uses up power like water, it’s far too glorious to criticise on that basis. The Aquatique show at Darling Harbour was brilliant. It’s apparently inspired by the fountains of Versailles, but this may be one of the few times that Darling Harbour is as good a venue as a French palace. Having a water show actually on the Harbour makes so much sense that it ought to be a permanent feature. 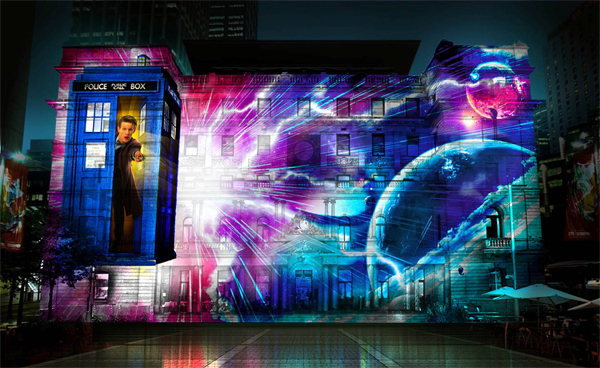 For geeks who want to go beyond just light and technology next Saturday is the time to visit with a special show lighting up the front of Customs House to celebrate Dr Who’s 50th anniversary. 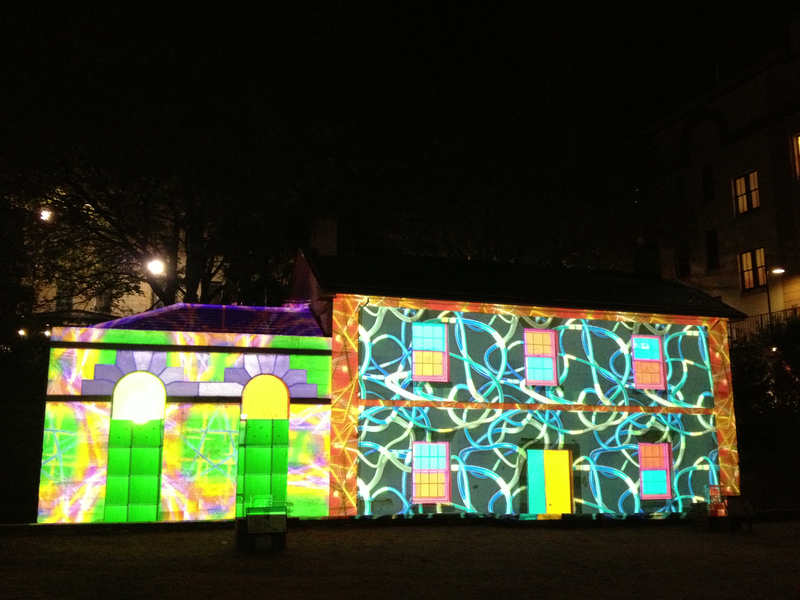 The light show will be one night only starting at 6.50pm, then 8.50pm, 10.50pm and 11.50pm. If last night was anything to go by though don’t expect it to look like the publicity picture – there will be crowds, big crowds. Full details on Vivid are here. Image: Dr Who – BBC.